Did you know that one of the most commonly asked questions we get is: how many carbs per day is best for a diabetic to eat? No doubt that's why you're here reading this as well, right? And like many other people you may be totally confused by that question. That's not surprising because the amount of carbs recommended does vary depending on where you read it. Well, there is no specific recommendation for the amount of carbohydrate, that's why there are so many different numbers. However, there is good scientific evidence to suggest what's best. But unfortunately, that information is not getting out to the public (to YOU) as fast as it should. 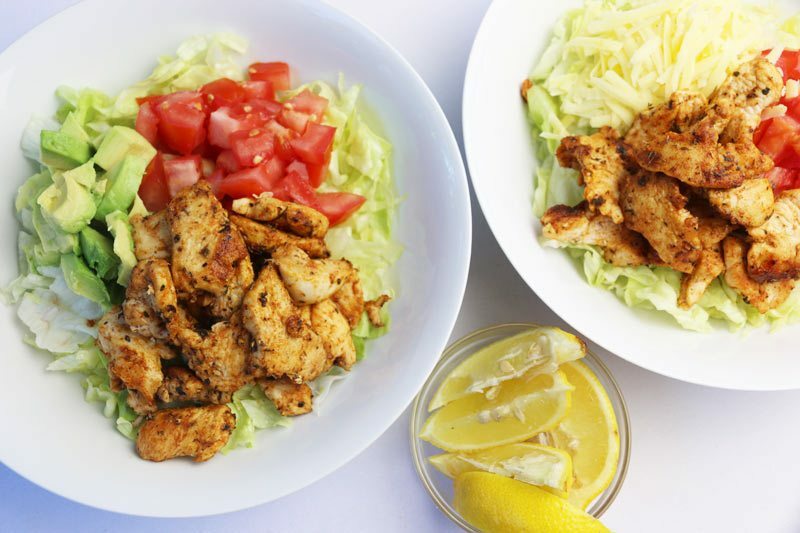 Here at Diabetes Meal Plans we encourage a low carb diet because research shows that lower carb diets produce far more effective results than traditional low fat diets. As you read on, be prepared to have some of your longheld diet beliefs shattered. But also be prepared to be amazed by the possibilities. 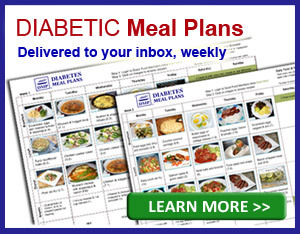 Because with a few dietary changes, you can reverse* your diabetes and live your life anew! Over the years it’s been pretty common practice to recommend a low fat, high carbohydrate diet to people with type 2 diabetes or prediabetes. A typical low fat Western-style diet has been recommending 60% of calories from carbohydrates foods. That would equate to around 135-225 g carbohydrates per day, excluding snacks. And globally, diabetes associations have kept emphasizing that people with type 2 diabetes should eat the same as the general population (a high carb, low fat diet), that everything in moderation is fine (sorry but even a small piece of cake or an every night ‘moderate' intake of ice cream, or that morning fresh fruit juice can be harmful). So quite frankly, these large organizations have had you fooled – none of their dietary information has been based on real science! And the fact is, 45-75 g per meal of carbohydrates per meal is way too high! If you've been eating 225+ grams of carbs per day and wondering why you can't get your blood glucose levels or A1c under control, there's a simple answer — you're eating too many carbs! What the science shows is you must forget the ‘mainstream' carb recommendations and flip the nutrition circle on it's head. Because the goal is to keep your carb intake to less than 25%, not 60% as these large health organizations have been pushing for years. Science-backed eating for type 2 diabetes shows carbs are best kept below 25% of daily calories. As you can see, these recommendations suited for the ‘general' public are highly flawed recommendations for people with type 2 diabetes, and are in fact, keeping you sick! Like we always say: Diabetes prevention and diabetes treatment are two completely different things. So be careful because many things you read online lump both prevention and treatment into the same boat – but they are completely different. Here at DMP, we focus on TREATMENT. 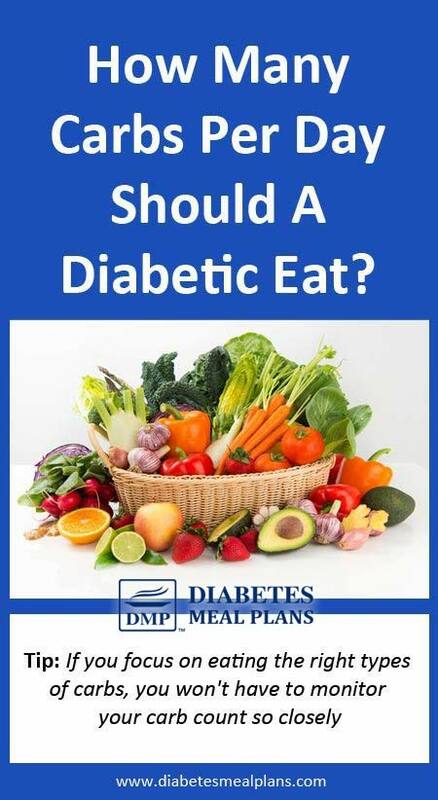 The good news is that since we started sharing research here way back in 2015, diabetes organizations have slowly shifted their views and now recognize that a low carb diet is an effective option for diabetes management – thank goodness!! So, How Many Carbs Should You Eat? It does vary some from person to person. But overall your goal is to keep your carbohydrate intake to less than 130 grams per day, which is considered the top threshold for a low carb diet. Still, although anything below 130 grams is considered low carb, and it's a good place to start, 130 grams is not that low. What we've found works well for our members is to consume around 50 to 80 grams of total carbs per day. Yes, that's 50-80 g maximum carbs per day! So, when you start carb counting, if you were calculating ‘net carbs' (total carbs minus fiber = net carbs), you'd be consuming around 30 to 50 net carbs per day. And if you do this, you'll be seeing great improvements! Here's the thing, you can choose to eat a higher carb diet but over time you will likely find it difficult to control your blood sugar levels and many find you need to continually increase your medication. And the reality is, if you struggle to maintain your blood sugar within a healthy range, you put yourself at higher risk for nasty diabetic complications. Whereas, if you adopt new ways of eating, switching to a lower carb diet, you can reverse* your diabetes. Yes, that's right! While diabetes is not reversible from a diagnostic standpoint — once you have it, you have it — it can be reversible from a physiological standpoint, which means you can keep your blood sugar within a normal healthy range, stay off or minimize meds, and live a healthy life — a lower carb diet can help you do that – it's happening with our members all the time! If you are on insulin therapy, it is important to lower your carb intake under close supervision of your health practitioner because you will have to make adjustments to your dosage and a fast rapid change can result in hypoglycemia. Monitor your blood sugar levels closely when making dietary transitions and be aware of symptoms. 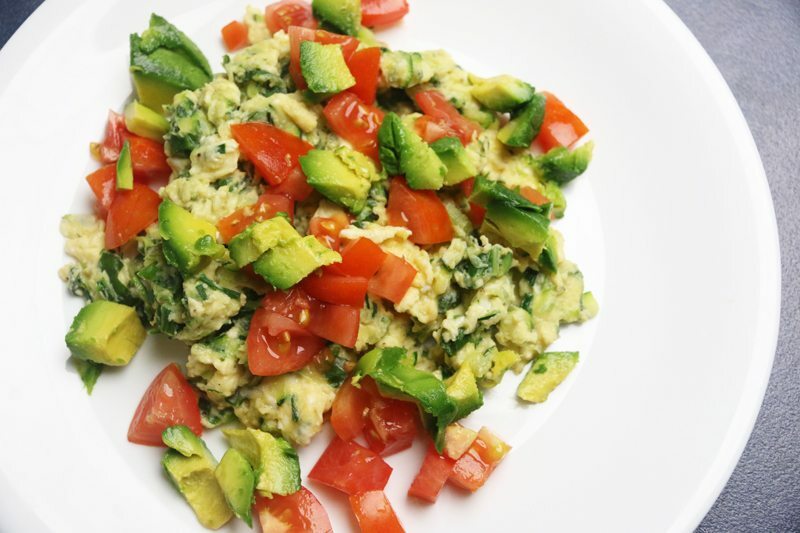 Since most people usually have to lower carb intake quite a bit, 120 grams is often a comfortable place to start and then you can tweak and reduce your own individual intake from there. 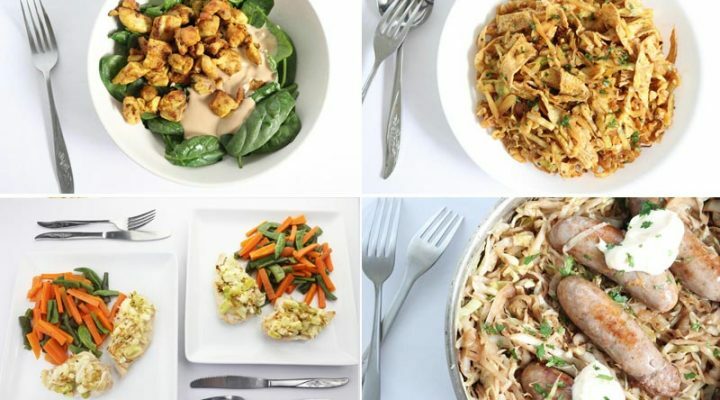 In the 30 Day Turnaround Program, we show you how to reduce your carbs to lower blood sugar and A1c, giving you delicious healthy food options, ideas, and alternatives for all the ‘normal' high carb foods you might be used to eating. But, let's break 120 grams down per meal right now. This tends to work fairly well for the majority of people when getting started. If you focus on eating the right types of carbohydrates, then you won't really have to focus on carbohydrate counting so closely (what a relief!). Essentially the right type of diet for lowering blood sugar and A1c is a high plant-based, anti-inflammatory diet, whole foods, low carb diet. This sounds complicated but it's not. Just stick to eating real food and choose non-starchy vegetables as your predominant source of carbohydrates. Then, over a days worth of eating, your veggie intake, and the addition of some low carb fruits, will add up to around 50-80 grams per day. This seems to be the sweet spot for managing blood sugar and A1C, and is sustainable for many. You may also hear about a ‘very low carb diet ketogenic diet,' such as an Atkin's diet, which limits carbs to 20 g per day. But health experts such as Mark Sisson and Dr Mark Hyman, suggest that it's not necessary to limit carbs this low because it cuts out many of the essential plant ingredients that we need — and we tend to agree with this point of view. For instance, a ketogenic diet limits carrots, but carrots provide valuable nutrients and loads of dietary fiber. And while carrots are a little higher in carbs than spinach, they still aren't really a high carb food, like potatoes, rice, bread, pasta and cereals. 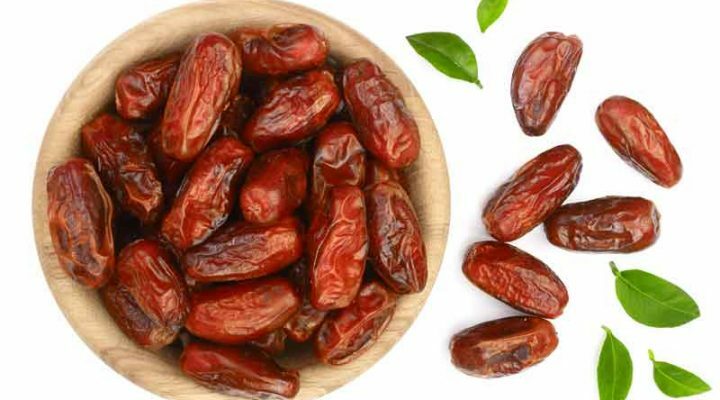 You've probably also heard of things such as the glycemic index, and it's true, numerous research studies suggest that a low glycemic index diet plan can be effective for weight loss and blood sugar management. 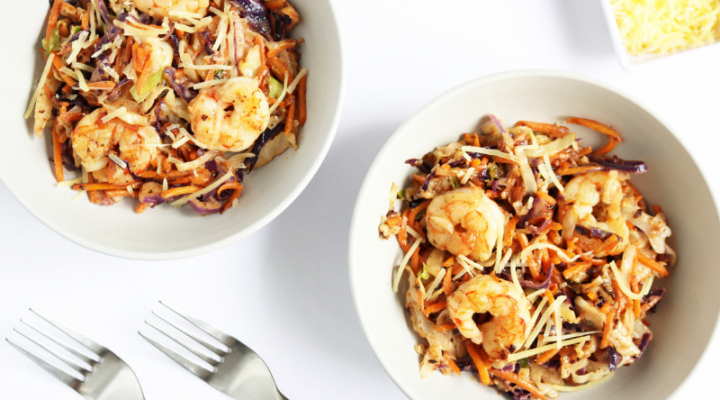 What makes something a low glycemic index food? It's as simple as that, you need LOTS of fiber (from consuming lots of vegetables) – and the type of low carb diet we encourage includes ample amounts of fiber each day! Snacks: Berry Bomb 5 g, peanut butter with carrot sticks 5 g, or cottage cheese and berries 10 g. Aim for 5-15 g per snack. Based off the meals and snacks above the total daily carbs is: 62 grams. Factoring in around 25-30 g fiber, your net carbs would be around 37-32 grams. As you can see from this meal plan, you will not be starving! But it is a different way to eat than you're probably used to. That's why we're here to help you. The 30 Day Turnaround Program walks you step-by-step to putting a low carb healthy eating plan into practice. 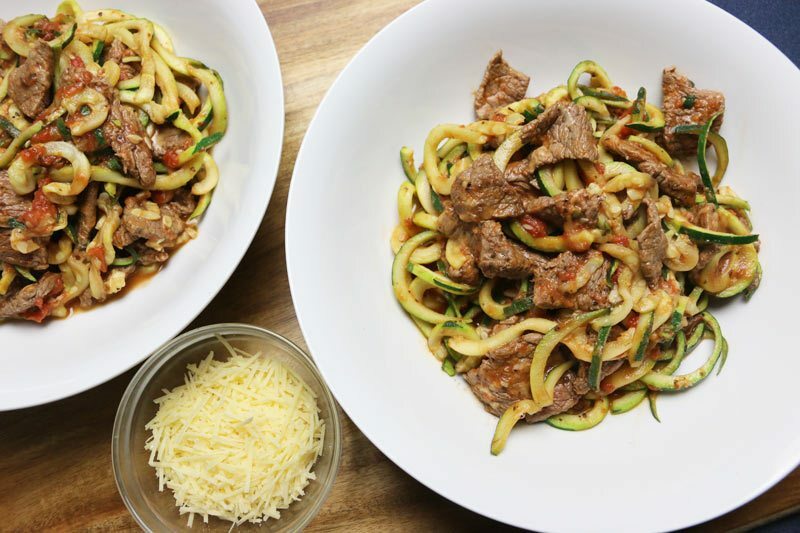 We show you exactly HOW to eat to get results, revealing the carb content of problem foods and giving you ample low carb options and alternatives for regular high carb foods – and we make it easy to manage your meal planning over the long term! Avoid grain-based foods: You do not need to eat whole grain foods to get fiber and ‘good' carbs. You can obtain plenty of fiber from vegetables, nuts and seeds. And grain-based foods, even whole grains are high in carbs and will raise blood sugar. Enjoy dairy: Dairy products are fine to eat, even full fat varieties. There is no evidence to show these are bad for our health. And in fact, new evidence suggests they are very beneficial. In terms of carbs, cheese and cottage cheese are lower in carbs than milk and yogurt. Become a detective: When you go shopping, don't rely on front-of-pack labelling. Food companies are great at enticing you to purchase foods, or telling you that a food is healthy, but it may not be true. The only way you'll know is to read food labels and learn to understand the nutrition facts panel. When looking at nutrition labels, don't just look at the total calories, observe the amount of carbs, fiber and how much sugar an item contains. Carbs are more important than calories: But overall, the best bet for your diabetes diet is to focus on carb control. When you can observe your daily intake of carbs and lower them, you will see results pretty quickly. And just to be clear, we are talking about a low carb diet here, not a no carb diet! Sure, in the long term, calorie intake is important to achieve and maintain a healthy weight. If you need to, on a lower carb diet, you can control calorie intake by focusing on the amount of food you eat. If your diet is currently pretty poor or you're just getting started, begin with around 120 g per day of carbs. If you want to work on losing weight and getting optimal results for blood sugar and a1c aim for 50-80 g carbs per day. 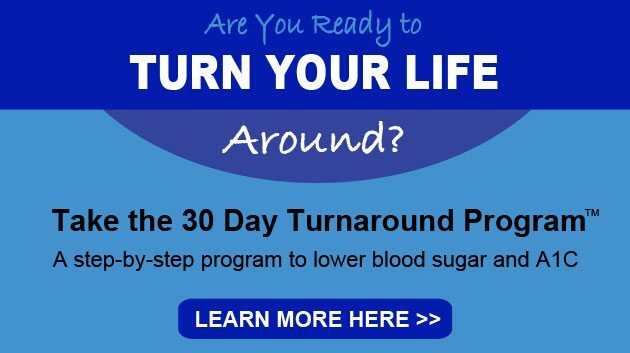 If you don't know what carbohydrate foods are, or which ones are best to eat – take the 30 Day Turnaround Program – our members discover that after years of trying diet after diet without success, our process truly turns their lives around! “My a1c started out around 9.5. It has been at 5.4 for the past six months. I have lost close to 50 pounds. Thanks again for all the great recipes and help.” ~JoAnn B. “I'm making healthier food choices. Cooking again (huge step) because you've shown me quick plans. And prepping and packing lunches! Wish the doctor's office would have shown YOUR way of doing it when I was first diagnosed. I probably would not have stuck my head in the sand so long! 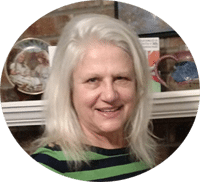 Glad I found you!” ~ Michelle G.
*Reverse diabetes: while diabetes is not reversible from a diagnostic standpoint — once you have it, you have it — diabetes can be reversible from a physiological standpoint, in many. That is, you can endeavor to bring your blood sugar and A1c levels within a normal healthy range, improve your metabolism, reduce the need for meds and live a healthy, happy, ‘normal' life. With a few simple changes to your diet — lowering carb intake and eating whole foods — you can start seeing your numbers move in a downward direction, fast! Take the 30 Day Turnaround Program – we'll show you how easy it is to do. Barbara, please go ahead and contact our awesome support team and I am certain they will get the recipes back for you! A big part of nutrition is figuring out what works well for you- but hence many different schools of thought are born. Everyone at DMP is very research based in our recommendations, so we always stick with the facts. But the slight other problem with research is that even research can be bias depending on who is funding the study, etc. But again it all comes down to what keeps your sugar under control and is something that is sustainable for you– and we find a low carb diet often meets both those criteria. Thanks for sharing your thoughts! I would like to have it the same way you had describe it for a type 2 diabetic, with the same layout. Hi Maritza, our information is geared for type 2 diabetes only. Many of the recommendations and research will be applicable to your situation, but there will be certain things that are different. As far as the weight gain, make sure to add plenty of healthy fat to each meal, as described in this article. Hi I’m a Registered Dietitian. 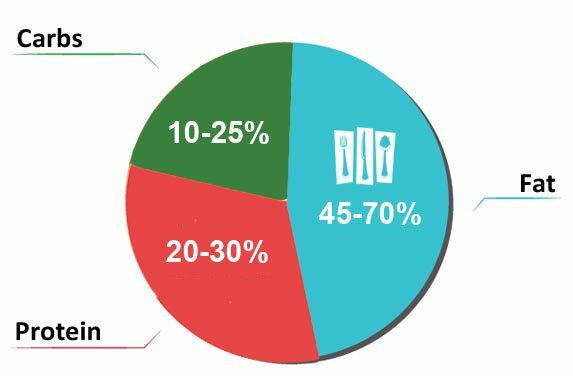 We recommend 40-45% of calories from carbs a day. Many of these individuals are overweight or obese. Eating 50-80 grams of carbs a day is not realistic and not enough to feed your brain which needs 130g. I am just curious where these numbers come from. Thanks! Eating 50-80 grams of carbs per day is entirely realistic, especially for overweight and obese individuals. We know because our members are doing it and reversing their diabetes!! All of our numbers and the info we share comes from scientific research Deanna. More and more new research is showing that a low carb diet works best for diabetes treatment. It has also been proven that the brain does not need 130 grams of carbs per day. You can check out our research page which contains many research links (some of which have not yet been added from 2018 discoveries). I’d also recommend you dig around the scientific journals yourself, to get up to date. Many breakthroughs have been occurring in nutrition research that is really helping us turn people’s lives around. I am 69 years old and was diagnosed with type 2 diabetes 2 years ago. I have never been overweight, have always exercised, don’t smoke or drink and have no health problems. My doctor says my diabetes is inherited. My grandmother had it. My problem is I’ve lost 20 pounds since starting my diabetes meds and cutting my carb intake significantly. I’ve not been able to put on any weight at all. I look like a skeleton. My doctor told me to eat more protein which I’m doing. I’m 5’6” and weight 123. The extra protein doesn’t help. My A1C usually runs 6.6 or 6.7 as I’m still eating some carbs to try to maintain what little weight I have. A good part of my day is spent eating or snacking. If I happen to be away from home and eat lightly or sometimes miss a meal, I immediately lose 2-3 pounds. I try to remember to take snacks with me but sometimes forget. I know my situation is in the minority (I.e. losing too much weight). But why isn’t there a med for people like me who don’t need to lose weight? Thanks for any suggestions. Has your doctor done a work-up to rule out any other potential causes of weight loss (aside from the medication)? Assuming your doctor does believe it is caused by the medication then you may want to suggest trying an alternative medication as there are plenty of options out there and not all cause weight loss. In the meantime, why don’t you try adding in some more healthy sources of fat to your diet Pam. Protein is good, but fat will give you more calories which is ultimately what is needed for weight gain. Check out this article for some more information on healthy weight gain! This is the first time I’ve seen this site. I am a 75 year old woman and was diagnosed with early diabetes 4 months ago with my a1c at 6.8. Since then I have lost 61 pounds, with another 9 to go. Interestingly the only carbs I am eating are green carbs. Probably only 30 each day. My blood pressure with medication is on target and my a1c is 5.27. No medication. This diet you are advocating is absolutely the right move and it works! No starches, no pastas, very rarely a 1/2 whole grain English muffin. Pizza crust is ordered online and made of Cali’flour. I also joined Silver Sneakers thru my secondary health insurance for a reduced price which I urge folks to investigate. With this membership I can go to a gym for no charge and do my aerobic exercise during my spare time with air conditioning and my personal music. This has been a great help for my weight loss and a1c. I have a very good doctor who had warned me my a1c was climbing for 3 years. I am only sorry I didn’t have the capability to test my glucose daily until I had a diagnosis. If you are warned your a1c is rising go on this diet and pay out of pocket for the testing kits. They do not require prescriptions and folks might avoid the permanent loss of some pancreas function. Be proactive and learn a lesson I didn’t learn soon enough. Fantastic work, Janice! Keep it up! I’m very surprised this article does not mention that 15 grams = 1 Carb. This information is not a carb counting tutorial Carmen, we talk about that over here. We encourage people to count actual carb numbers by grams as it’s more accurate that saying 15 grams is 1 carb – that rule unfortunately is not true or accurate. It’s a very simplified method of carb counting. This article talks about total carbs per meal. 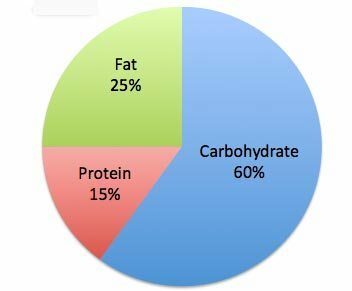 What’s more important is the total “net” carbs per meal. That is total carbs-fiber-sugar alcohols = net carbs per food item servings, which will give you net carbs. Calculate the net carbs per food item servings, adding each net carbs results will better show total net carbs per meal. I follow this procedure exclusively when planning each and every meal. We encourage our members to monitor total carb intake, not just net carbs. Net carbs doesn’t always accurately capture everything that you’re eating. For example some sugar alcohols DO effect blood sugar, but manufacturers don’t differentiate between which ones do and which ones don’t. (Confusing, I know!!) 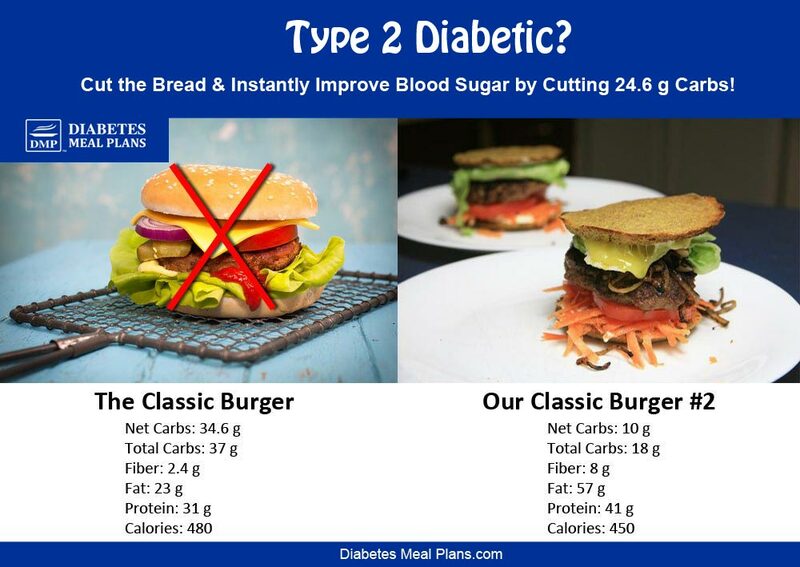 Furthermore, counting net carbs allows you to eat some relatively higher carb foods that have man-made fiber added to them, but all-in-all aren’t actually healthy products for someone with diabetes. This article will explain everything in a bit more detail. Certainly you should take net carbs into consideration, but it’s also crucial to be mindful of the total carbs as well. You’re correct that fruit contains carbohydrate, in fact it’s basically 100% carbohydrate. Although both higher in carbs, we would encourage you to consume whole fruit versus jam, it’s much more satisfying and fresh fruit will have more vitamins compared to cooked fruit. I am not sure if I understood your jam question, so please let me know if there are further questions about that! Yes Lazette. Here is some additional carb counting info to help. 73 years young! You can still do a lot to improve your health. Explore our website for more info, you will find lots here. I tried 3 times to get the free download and it didn’t work! You are definitely on our email list Marion so please check your junk mail folder as our emails may be going there. If you need more help, contact support. It is very hard being of Italian descent and giving up pasta because a 1/2 cup of pasta is just a tease. It does not satisfy the craving. What can I do? Totally understand – pasta is a love for many and 1/2 a cup is nothing! It does take time to make adjustments but is possible. Here are some alternatives that may help. We also have great variety in our weekly meal plans. Hi, I’m 75 and have been on low carb off and on for 5 or 6 years. I’m also type 2 diabetic. I’ve lost up to 40# on the low carb but it just isn’t working this time. I’m doing it with doctor”s approval. My a1c could be better. Carbs are about 40-50 daily and I take 100 units of insulin daily. I am really discouraged. Any suggestions? Don’t be discouraged Gay because there are always ways to get better results, you just have to keep tweaking things. Are you eating mainly whole foods – fresh veggies, healthy fats (mainly monounsaturated) and good quality protein? Eating lower carb ‘junk’ can be a trap for many people. Also consider exercise – can you add a bit more. Sleep – are you getting good quality. And stress – keeping it minimal. All these things can influence your numbers too. Two years ago I was diagnosed with diabetes. Was in emergency room for other reasons. Blood sugar was over 400 and a1c was 13. Wound up in the hospital for two and half months due to a flesh eating bacteria and sepsis. When I got out of hospital a1c was down to 10 and blood sugars were in the 200’s. Today my a1c is down to 5.7 and blood sugars are usually below 100 except in the mornings. My endocrinologist is not concerned about it because my other numbers are great. I am still overweight even though I have lost about 50 lbs. I have kidney failure from the sepsis, have had to have my gall bladder removed and have an almost two food scar that wraps around the inside of my right leg from the flesh eating bacteria. I try to only eat about 130 carbs a day and it seems to work. My problem is that with my leg and where the scar tissue is I cannot do a lot of exercising without rubbing the scar tissue open (it took two months on a wound vac to heal enough to go home and almost another year to close completely). Long story, I am sorry. Basically I would like Any suggestions to help the weight loss and continue to lower my a1c. Hi Nicole, you could try lowering carbohydrates even more. Aim for half of what you’re currently eating and you will find it helps shift more weight. Eat lots of whole foods such as veggies, healthy fat and protein, and drink plenty of water. Browse some of our top 10 resources. I need info on types of fibers, e.g. Soluble, inulin, insoluble. I’m sure someone had outlined very efficiently in an article about which does what. I’m unable to find it, could you please send it again. I have a sensitive gut and react to some medications, metformin for one. I have since changed it with good results, but I need to work on my bowels. Hello my wife has type 2 diabetes and we are raining heck trying to manage it. Her a1c is not good , and most of the foods we can afford are not good for it. Living off a meager food stamps budget , how can I help my wife manage her bs? Type 2 since 2015, my A1c was 10 now down to 6.1 lost 40 lbs. Was on Metformin and Glipizide and my B4 breakfast (fasting) #’s were 113-122, then Doctor took me off the glipizide and now my fasting number are 145-165. My numbers 2 hours after meal are within the lower than 180 range. I am concerned about the morning number but my Doctor does not seem to think it is a problem. She said my daily average is ok. What is your opinion? For type 2 diabetes the American Diabetes Association and many physicians set the level below 180 after meals and between 70-130 fasting. Fasting levels can vary some in people due to the Dawn Phenomenon. If you can work toward getting your daily numbers a little lower, under 140 after meals, which is considered a ‘normal’ level, it can also help bring morning levels down too. Perhaps you could look a little closer at your diet and lifestyle and see what else you can improve. Still, your physician is probably not concerned about your daily levels because your A1c is within a good range but it can’t hurt to get those daily numbers a little lower if you can.